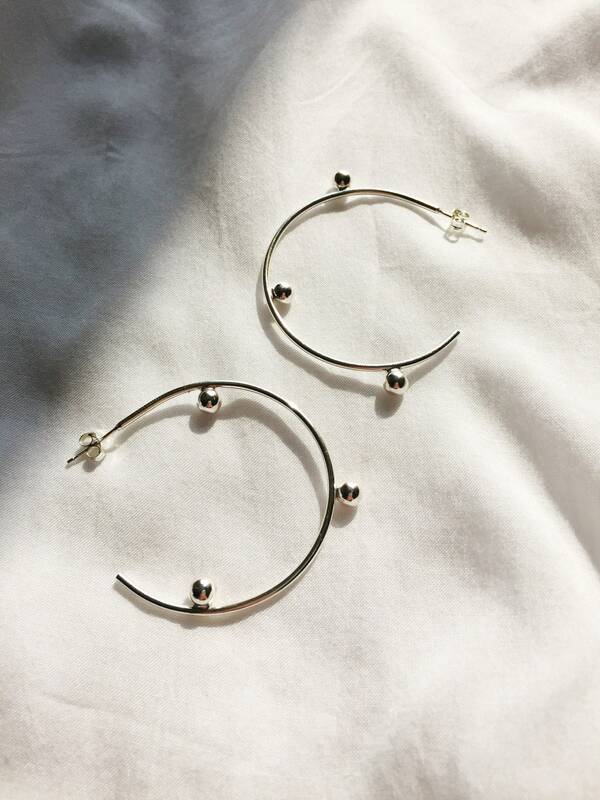 A fun & unique take on a classic hoop earring. 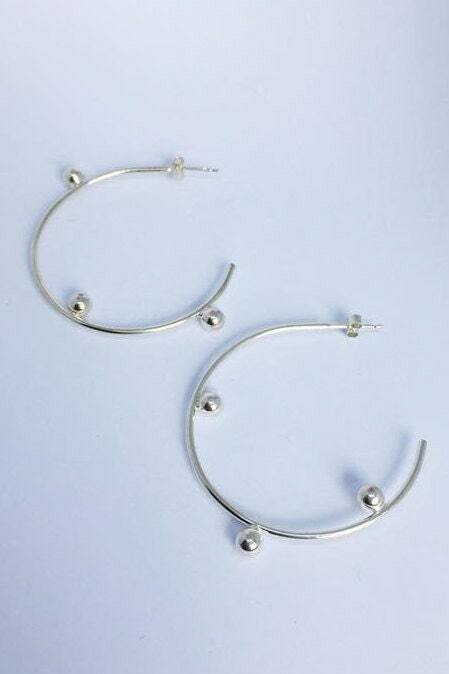 Sterling silver hoops with attached asymmetric silver beads. 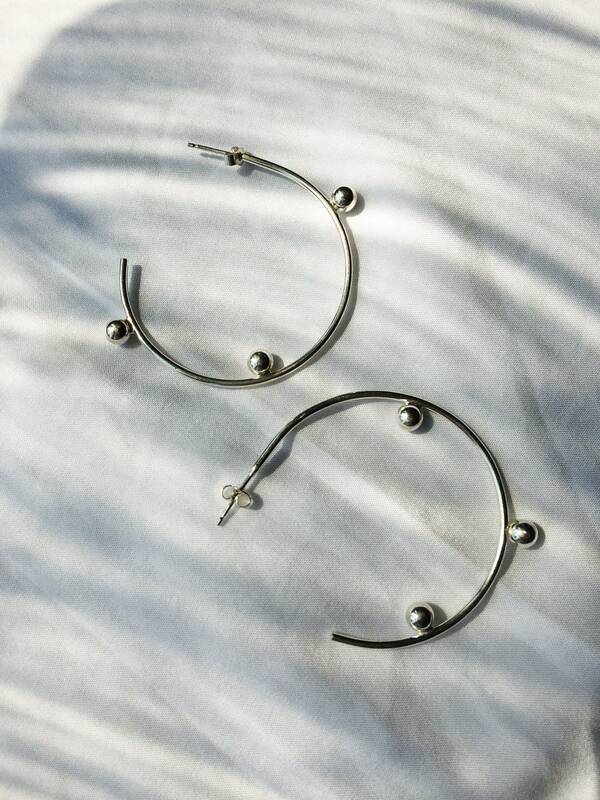 Handmade to order using 925 sterling silver.